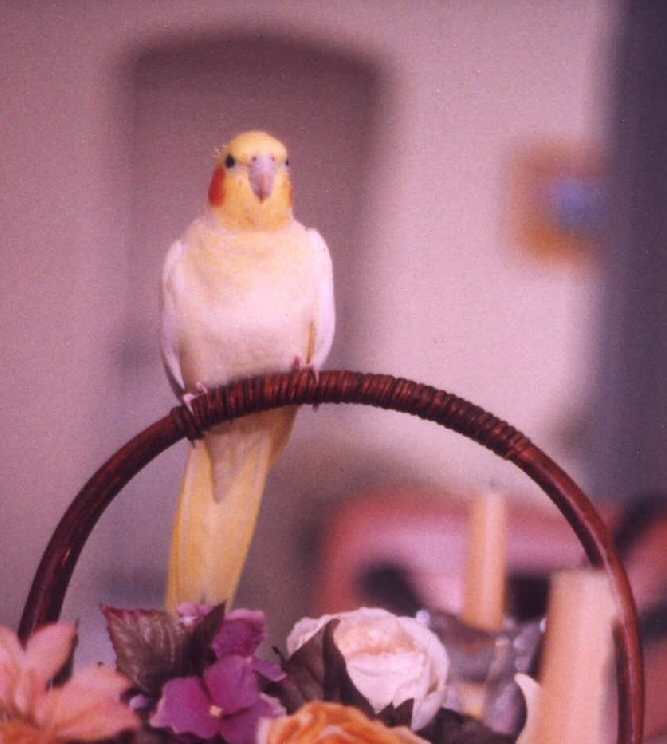 Sunshine whistles and sings to the world as his day begins each morning. Linda works to keep up with his whistle, but often Sunshine goes places with his whistles she is unable to imitate. Now, with gusto he has begun performing each evening too. He starts out whistling three to five notes with surprising range, then works to achieve a theme, and uses it as a building block for an even more complex melody. At this point Linda is no longer able to keep up with him and stops whistling back. But she listens with admiration and fascination as he performs his improvisations. Sunshine creates his own compositions based on nearly twenty years of mastering his repertoire. 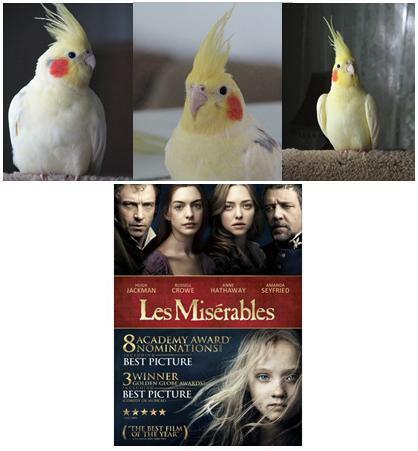 In a previous blog we wrote about him listening to LES MISERABLES one evening when we watched a DVD of the musical. He quickly learned the melody. The next morning, to our delight, he shared melodies from the musical. 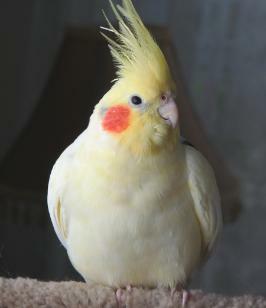 Visit <http://www.angelanimals.net/nlimage126.html >to see images of Sunshine. 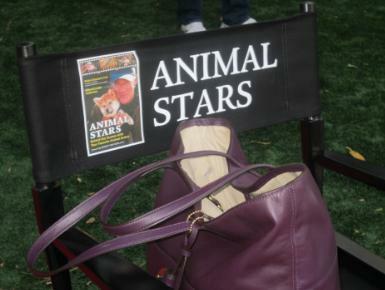 The #AnimalStars book launch was a grand event. 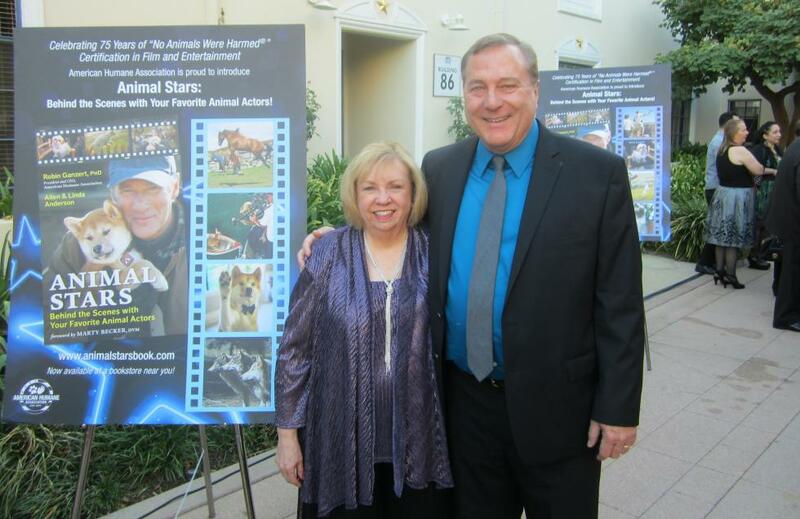 We were amazed and very happy to see all the excitement and love for the book and for American Humane Association. 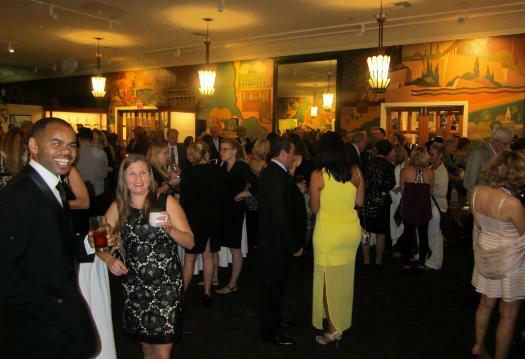 The book party was at Fox Studios in Los Angeles in the ballroom. 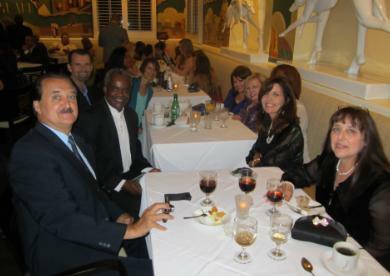 The party included food, drink, and lots of laughter. 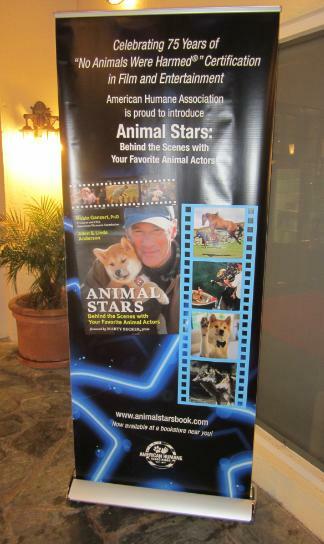 Many of the book’s contributing authors/trainers attended with their animal stars who were featured in the book. People were getting photos and videos of themselves with the famous animal actors. 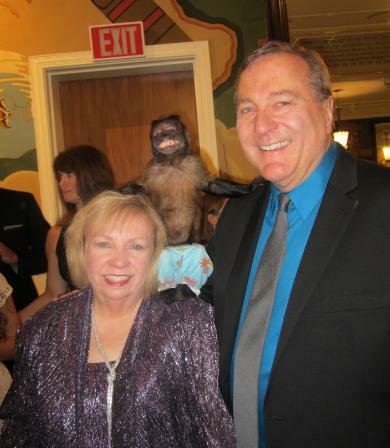 Crystal, the capuchin monkey star of NIGHT AT THE MUSEUM and WE BOUGHT A ZOO was a full participant in the celebrations. She graced us by sitting on our shoulders and grooming our hair. What an actress! Celebrities James Denten (Mike the Plumber on DESPERATE HOUSEWIVES) and Animal Planet host and author Victoria Stilwell were enjoying the party as well as a young man from television that the teenagers all knew and adored. 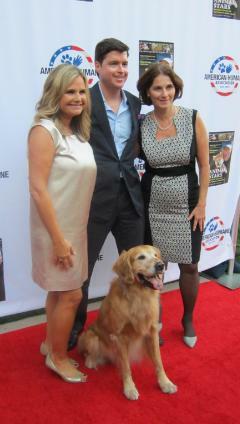 We were thrilled to meet Dr. Marty Becker, official veterinarian for GOOD MORNING AMERICA and the DR. OZ SHOW. He wrote the foreword for our first ANGEL ANIMALS book and for this book. Such a nice man. Our publicist for all these years, Monique Muhlenkamp was also at the party representing our publisher New World Library. 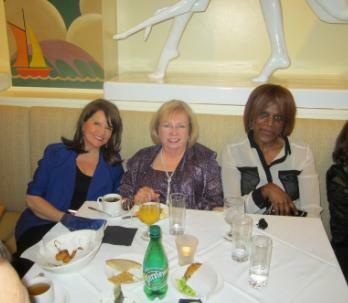 It was an author’s dream book launch party. And we are grateful to have had the opportunity of meeting people who sent the book off with a good start. Many came up and told us they have been reading and loving our books for years. What a treat! Who knew? We enjoyed our time at Magers and Quinn Booksellers! 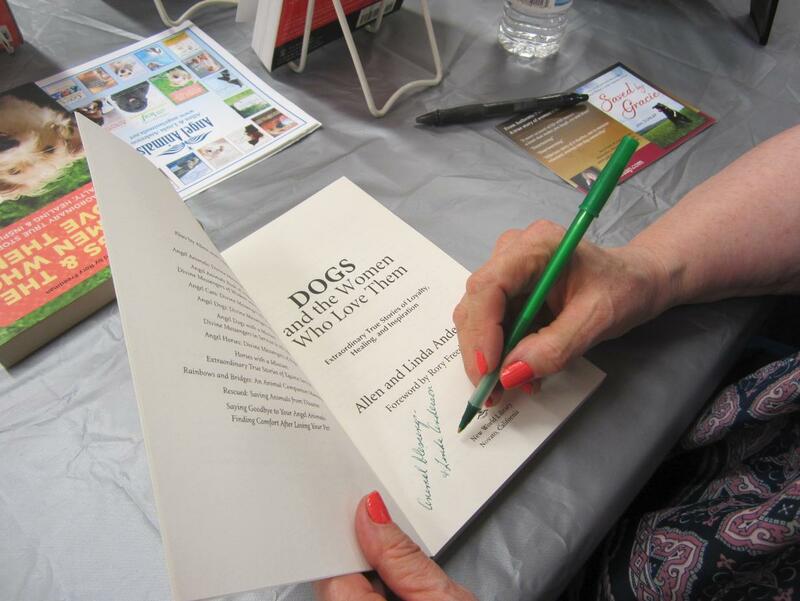 We read from A DOG NAMED LEAF and signed books. 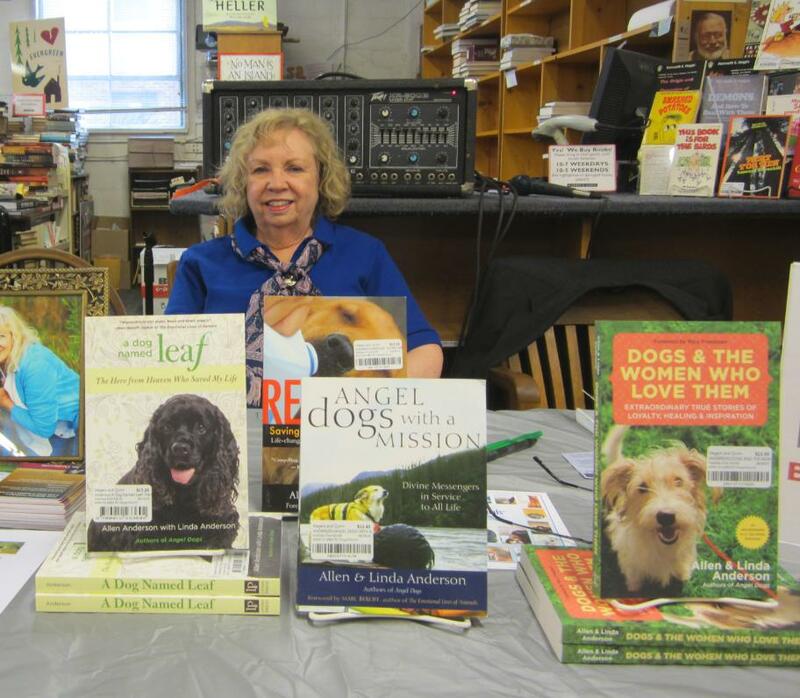 We loved talking with the animal lover attendees. Allen and Linda Anderson at Magers and Quinn Booksellers. We don’t recall seeing articles about animal family members being considerate. There have been some studies showing animal altruism though. 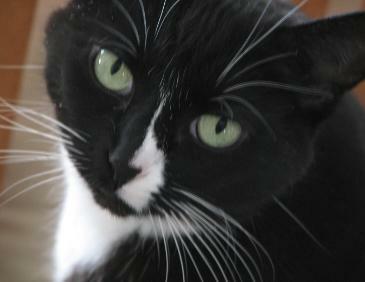 In our home, our cat Cuddles lives up to her name and cuddles up next to Linda at night on our bed. She’s very considerate not to wake up Linda until morning, when she decides it’s time for her breakfast. 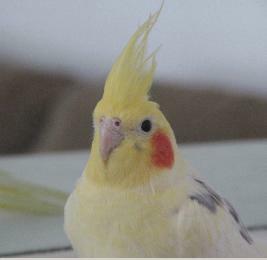 Our cockatiel Sunshine is considerate when we use the spray bottle, filled with warm water, to give him his morning bath. He raises his wings so we can spray under them and puts his head down for a good spray of his head feathers. The reason this theme is on our minds today, though, is that our dog Leaf, one of our life’s greatest spiritual teachers, often shows us consideration. He’s definitely not a – my way or the highway – kind of guy. Although we mainly do our writing at home, if we need to meet with a client, Linda carefully puts on her makeup to prepare. Sensing that we’re about to leave the house, Leaf is eager to kiss Linda’s face with his long, pink tongue. So Linda says, “Leaf, don’t kiss off all my makeup.” And she turns away so he can’t reach her cheeks. The other day, it appeared that Leaf got the message. As Linda was ready to leave the house, she bent down to kiss him on his head. In turn, he very carefully kissed her only on the tip of her nose. With great discipline, he put his tongue back in his mouth and refrained from plastering her face with any more kisses. 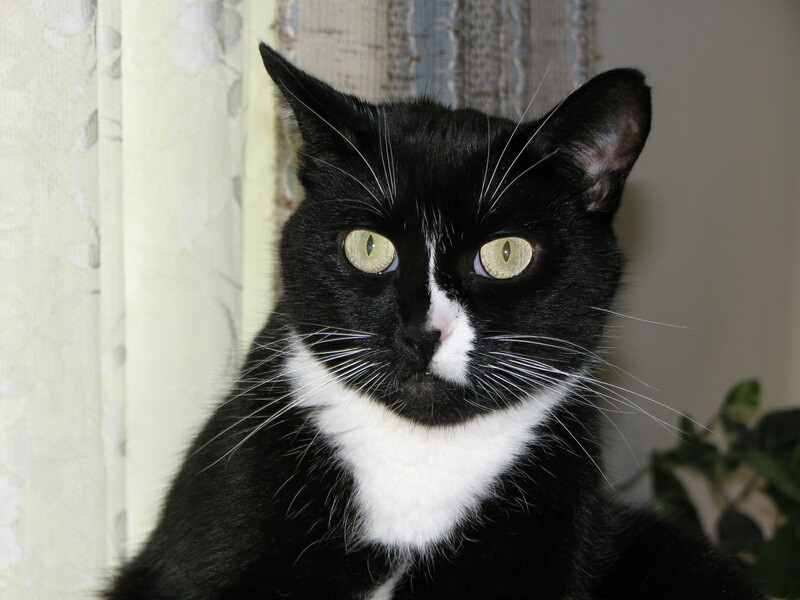 Have your pets been considerate to you or others? Send us your stories to .